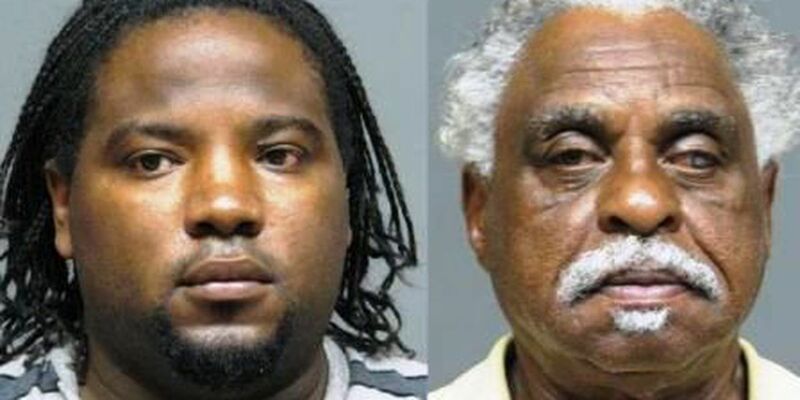 SHREVEPORT-BOSSIER CITY, LA (KSLA) - Bossier City Police have arrested a Shreveport bail bondsman and his employee on kidnapping charges linked to an incident that happened in May. Bearl Lee Henry Jr., 32, and Sampson Cawthorn, 68, both of Shreveport were arrested on charges of kidnapping, false imprisonment while offender is armed with a dangerous weapon and false personation. Bossier Police say the arrests are related to an incident that began about 4 a.m. on May 23. They say Henry, a licensed bail enforcement agent, and Cawthorn went to a house in the 4000 block of Maple Street and detained and handcuffed Robert Keith Short, 29. Henry and Cawthorn allegedly then drove Short to Shreveport and kept him handcuffed in the back seat of their vehicle for nearly 5 hours while waiting for a bank to open so that Short could withdraw money. Police say men released Short after getting the money. Authorities add that Henry allegedly had been armed during the incident, and Cawthorn kept a weapon inside the vehicle while the two detained Short. Police say Henry and Cawthorn were working on behalf of Cawthorn Bail Bonds of Shreveport, which is operated by Cawthorn's wife. They were trying to collect money from Short after bonding him out of the Bossier Parish Maximum Security Facility in March. Bossier City Detectives arrested Henry and Cawthorn after getting warrants for their arrest after a two-week investigation and consultation with the Bossier District Attorney's Office about the case. Both were booked into the Bossier City Jail and later transferred to the Bossier Parish Maximum Security Facility. Their total bond is set at $103,500 each.